Chalet Buchille provides a rare combination of superb views, excellent accommodation and a very convenient position. The centre of Morzine and the Super Morzine ski lift are just eight minutes` walk (800 metres) away from the chalet. 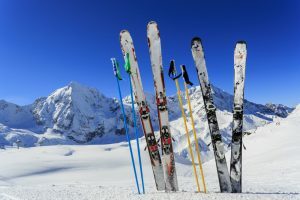 Skis can be hired and stored at Intersport next to the lift, thus eliminating the need to carry them back and forth each day. For those looking for a change of scene, the bus to the Ardent lifts leaves from just across the road from the chalet and passes every 30 minutes. You can also take this bus in the other direction to the village centre, just near the main local supermarket – Carrefour. The chalet is of modern construction and has been furnished to a high standard throughout. The ground floor has a fully equipped kitchen with dishwasher, fridge-freezer, oven, hob, microwave and washing machine. The dining area has seating for 8 and a wood burning fire which is a real delight after a hard day`s skiing! From this room large doors give access to the balcony which runs around the chalet and from which there are truly superb views of Morzine and the snow covered mountains beyond. On this floor there is also a bedroom, which can be either a single or a double, a bathroom with wash basin, bath with a shower and a separate WC. The first floor has two bedrooms, one is a double and the other can be a double or a twin, and a cosy sitting area on the mezzanine overlooking the living area. An i-pod dock, English TV, free wi-fi and books and games are all provided by us to ensure that everyone is well entertained. The lower ground floor has a totally independent studio apartment with a super-king double bed that can also be twin beds, a small kitchenette area and a bathroom and WC. Outside the chalet is surrounded by a large private garden. There is parking for several cars in front of the chalet and an integrated garage and a ski store. Chalet Buchille is a lovely peaceful alpine property, conveniently located just outside the hustle and bustle of the village centre. Chalet Buchille	standard bookings run from	Sunday	to	Sunday. The centre of Morzine and the Super Morzine ski lift are just eight minutes` walk (800 metres) away from the chalet. Great week for party of 6 at Chalet Buchille; value for money. Ski\'s reserved and collected across the road, ski bus to Ardent from stop across the road and a short walk into Morzine. Look to leave skis and boots in lockers in Morzine if going to Pleney or Super Morzine. Also great food and drinks offered in the Tabac in Montriond which proved a popular stop for our party. We thoroughly enjoyed our week at Chalet Buchille. The accommodation worked well for our party of 6 adults and 2 small children. As always Alptitude\'s back up was first class and we have already booked to return next December.... I guess that says it all. Hi Beth and Ben, We had as good a time as ever visiting Morzine and staying with Alptitude. Our second time in Chalet Buchille but the first time in the summer and it was perfect for the 2 families. As regular visitors we did not need to call on the services or advice of the Alptitude team, but it was there if we needed it. The Multipass is a must as it is fantastic value for money if only for the pool and lifts in Morzine, however venture over to Les Get and use it for the Lake and inflatable as it offers a good discount. Thanks and we will see you soon - The Price and Curphey families. we have been here already 4 times in 15 years and still very pleasant to stay. The make over makes it better and for walking is it also a good starting point for walks along the river. We had a lovely stay in this Chalet. The views and surrounding environment was astonishing and beautiful to gaze your eyes at. There was also plenty of activities and places to go all within a short distance, everyday was a wonderful adventure! I would highly recommend to anyone looking for a perfect holiday! Lovely chalet for a summer visit. Our group of 7 appreciated the space and enjoyed a couple of BBQs. Beds were comfortable and dishwasher, washing machine and Wi-fi were all handy. Both Morzine and the swimming pool were a 5 to 10 minute walk away. We really enjoyed this beautiful area and made great use of the multi pass especially for cable car rides. This was a return visit to Chalet Buchille with an 9 year gap. We really don't know why we left it so long! The chalet was perfect for our group of adults and young adults. The welcome pack and toiletries are a really nice touch to what is already a comfortable and welcoming chalet. Its position is fabulous, a 10 minute walk to town and the Super Morzine bubble or the free bus from (almost) outside the door to the Ardent lift, means a choice of routes up the mountain. A slightly longer walk to La Pleney (or take the little train) and the potential area to ski is much more than you could manage in a week although we tried really hard to cover it all! The kitchen was very well equipped with enough dishes and pans to self cater properly for the whole party. In our experience this isn't always the case in self catering properties. We'd love to return and aren't likely to wait another 9 years to do so!! Firstly I'd like to thank Ben & Beth for all their help even before we'd boarded the plane. 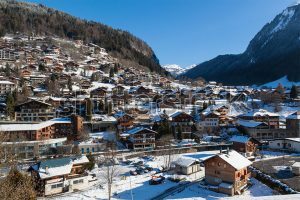 Any email queries were responded to quickly and thoughtfully and no question was ever ignored; an excellent and outstanding customer service, unlike a certain morzine-based transfer company (lets call them shamexpress) we had the unfortunate experience of dealing with. Despite having a knee injury due to a run-in with a tree Ben was friendly, accomodating and helpful as ever and nothing would have been too much trouble. The chalet was immaculate and just perfect for what we wanted...a big area for eating and socialising with double french-doors leading straight to a balcony with a superb view over the valley is what greets you when you walk in. The wood burning stove was the most efficient thing I'd ever used with hardly any kindling needed this thing just belted out the heat and was also very controllable...however the chalet was so warm, even when we had a huge dump of snow in the valley (mid April! ), that we didn't really need the fire on! The downstairs self-contained flat was perfect for some of our party who wanted a bit more privacy and the tv-viewing snug-room was perfect for cosy times with our little boy. 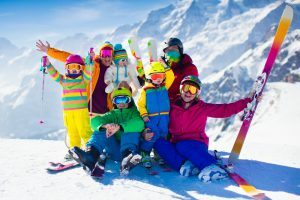 I won't describe the whole place as you can see it on the site but will say that the whole experience of this Chalet and this Company was completely without any hassle and at a great price! Oh, and what a great garden too! Thanks Ben and Beth for making our stay. Ged, Rach, Frank.